Throughout our country’s history, there have been people who suffered from homelessness – but there has not always been the same chronic and extensive homelessness we now face. Over the years homeless individuals have been referred to by a variety of different names. During the Revolutionary War homeless individuals were referred to the “itinerate poor,” a result of a society in need of transient agricultural workers, while around the Great Depression words like “tramp” or “bum” came into use. Prior to the 1970s homelessness rose and fell with the economic state of the country. 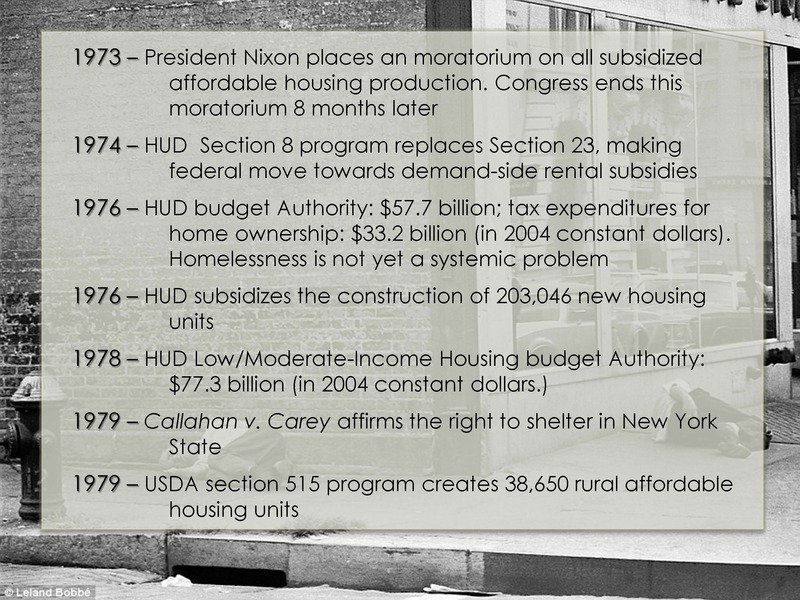 Starting in the 1970s policy’s shifted and a sharp and permeant rise in homelessness occurred. Previously, when there was a downturn in the economy the number of the homeless would increase, but this would be fixed when the economy returned to normal. The largest number of homeless up until that point occurred during the Great Depression, but with the help of the New Deal policies homelessness returned to its previous level. 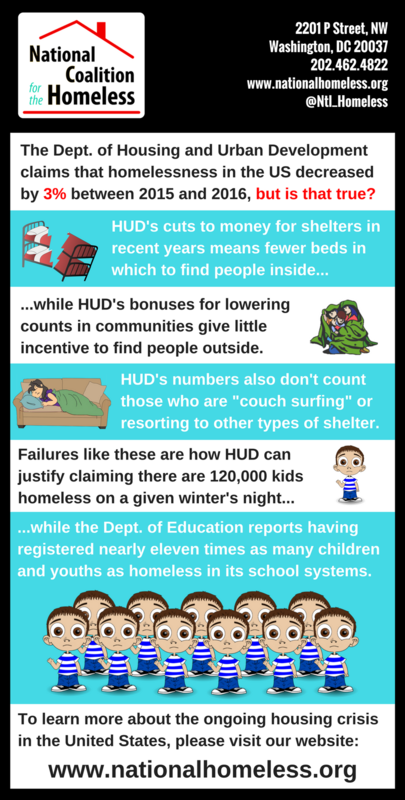 “Anti-poverty” efforts lead to homeless site dismantlement plans and the destruction of single-room occupancy facilities in urban downtowns. Churches begin to take on the burden of creating shelters, and local coalitions develop. Bank deregulation and the start of the farm crisis widen the gap between rich and poor. Additionally, mental health consumers began to be deinstitutionalized without providing adequate housing and health care resources for community reintegration. As a result, many people with mental illnesses started to end up homeless or in jail. Fast forward nearly 40 years and policy has continued to ensure economic inequality at staggering levels. 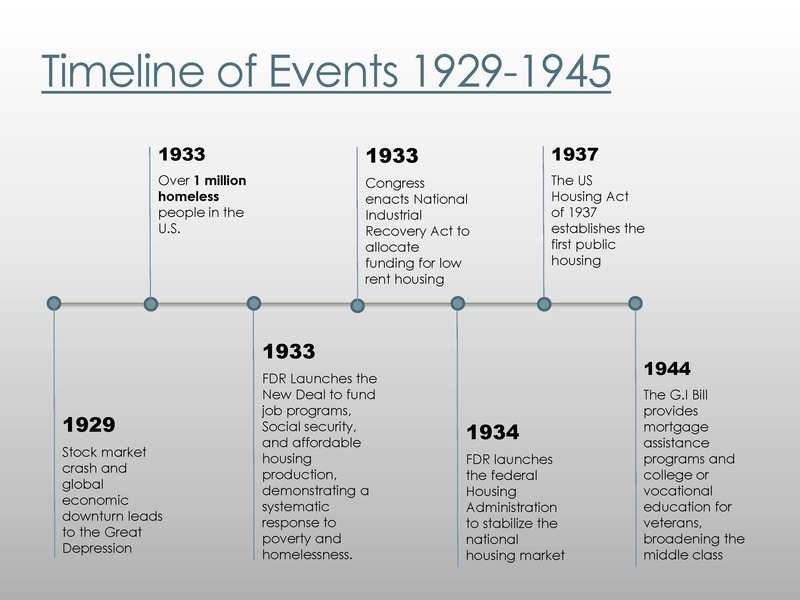 Keep a look out next week for a closer look at the history of homelessness in the U.S. after 1980. 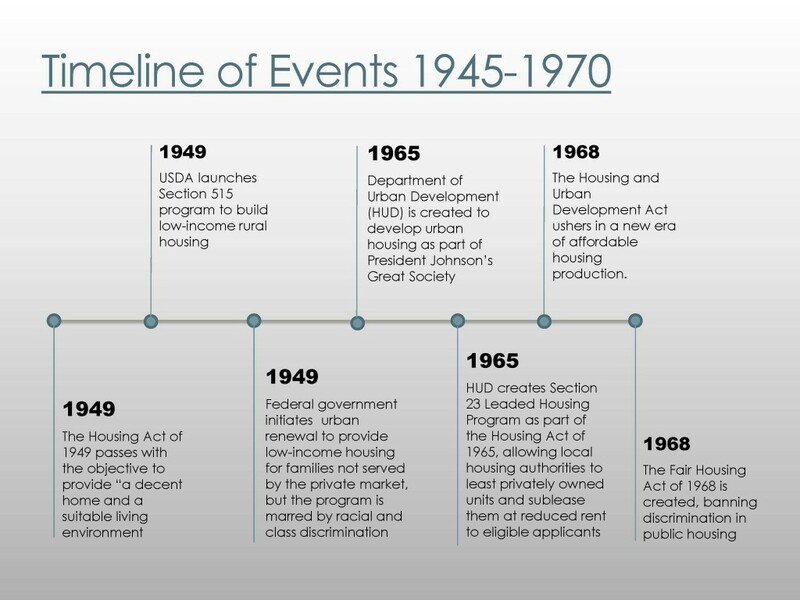 The U.S. Department of Housing and Urban Development (HUD) is expected to publish later this week in the Federal Register interim regulations for the new Continuum of Care (CoC) program under the HEARTH Act and a summary of these regulations.